Lord Jesus, Your are the God of all, the faithful God who keeps covenant and mercy for a thousand generations with those who love You and keep your commandments. Lord I want to see the Kyrgyz be some of those who love You and keep Your commandments. Father I thank You for Your Word, and for those who sacrificed so much over the years so that I could have the Bible in my language. What a blessing it is to read Your truth anytime I want. 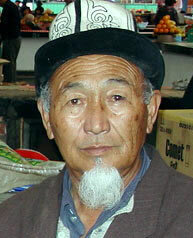 I pray Lord that you would provide that same blessing to the Kyrgyz. I ask that you would accelerate the translation and distribution process for their language. I bless those who are working on this in Jesus name. I ask that You would release you favor and grace upon them, and abundantly provide the funds they need to get Your Word out to the Kyrgyz.